The claims management lifecycle is a long, complex process that keeps your optometric billing department busy. The need to keep up with your schedule to submit new claims, work rejections, and follow up on payments can create obstacles for your biller. However, by completing one task, you and your staff can improve your optical billing and reduce claim rejections. 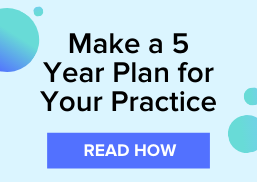 This post reveals one of the most important tips an optometric practice should include in their optical billing strategy. Whether you have a dedicated resource managing your optometric billing, or you partner with a revenue cycle management service, the claims management process begins as soon as your front office, or your billing manager, pulls the patient benefits. However, in many practices, the benefits are pulled when the patient is seated in the waiting room; limiting the amount of time your bill has to catch some of the common reasons for claim rejections. When the payer doesn’t cover the services you provided, or the frequency of services, then you’re at risk of either writing-off the claim or reaching out to the patient for payment. Unfortunately, asking the patient to pay after they have left may strain the relationship. Pulling the patient’s coverage earlier will give you more time to read the payer specific guidelines so you can see what services are covered. If services aren’t covered, or the frequency isn’t supported, then you can have the discussion with your patient to either reschedule the appointment and inform them that they will have to pay out of pocket. Missing or inaccurate payer information may cause a claim rejection, which could cause you to reach back out to the patient to confirm information. When you pull the patient’s benefits before the appointment, you can ensure that the information that was provided is accurate and that the patient is covered by the payer. Download the Top 7 Reasons for Denied Claims for more tips on how to improve your optical billing and claims revenue.